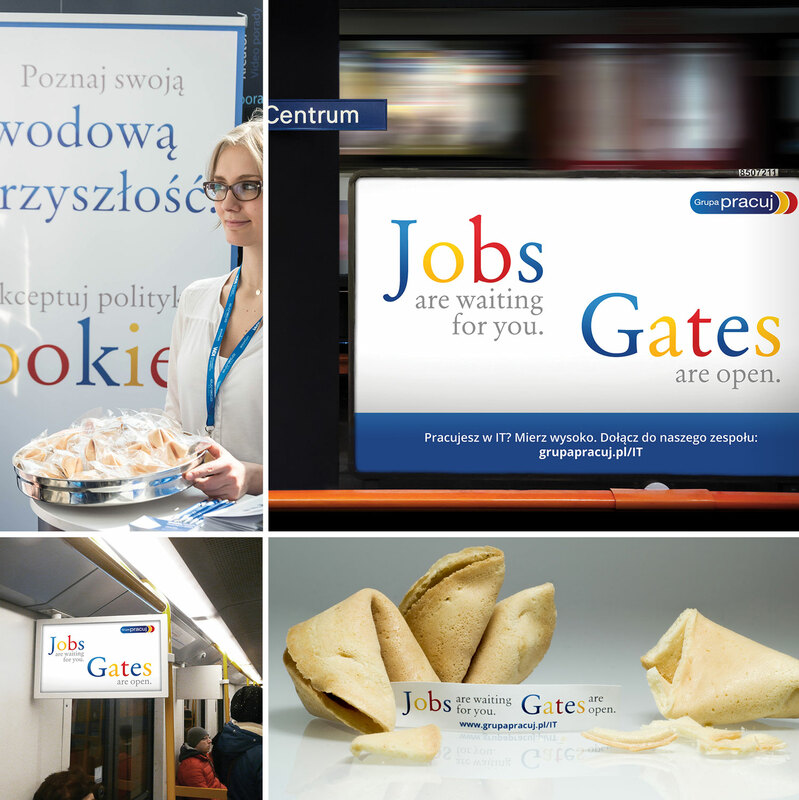 CAMPAIGN: Jobs are waiting for you. Gates are open. How do we convince IT specialists to apply for jobs in Grupa Pracuj? #MissionImpossible? Not for us! We brainstormed long and hard and came up with a slogan in English: "Jobs are waiting for you. Gates are open”. We decided for a minimalistic and almost exclusively text-based formula for the key visual: a bold and distinguishing choice in this day and age. and tells a story of how our campaign was created. to re-evaluate their choice of career…). 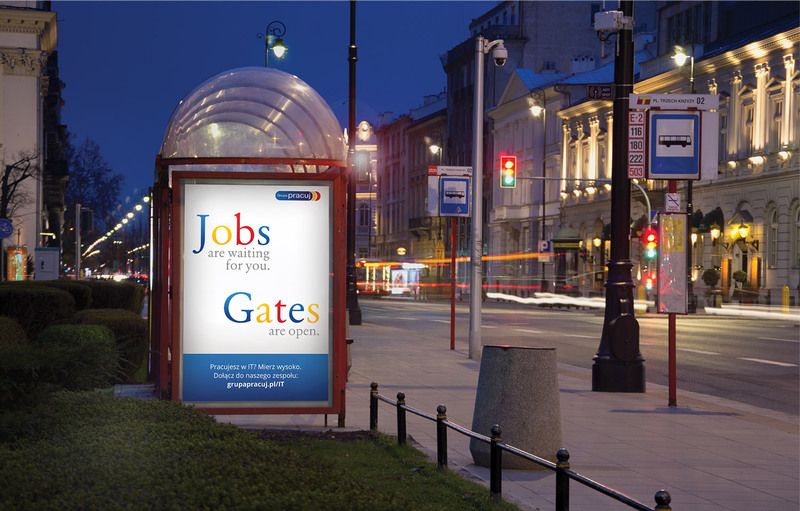 to ensure our message is seen by potential candidates where they live or are expected to appear. This included commute routes, so ads were placed at subway and bus stations. Warsaw’s principal business quarter was given particular attention, too. Fortune cookies were handed out at industry-specific events and HR conferences. Inside each cookie, a message was found: Jobs are waiting for you. Gates are open. Apply now! Mac or PC, communicating by e-mail is easy.